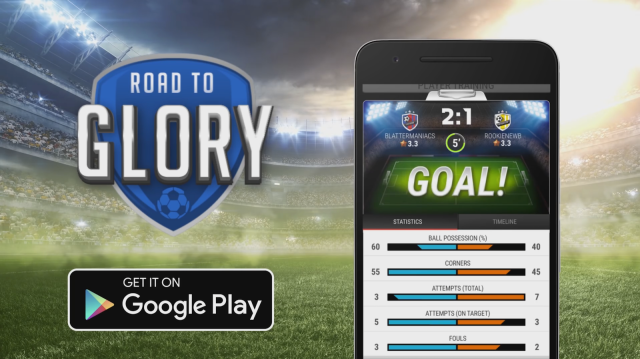 Road to Glory is a casual multiplayer football sim for mobile made with a team of 14. I was part of production and soft launch together with 3 other front-end Unity engineers. The most challenging part was the async-multiplayer aspect of the game. I implemented many of the game features and all things that come with it, such as in-app purchases, proper error logging, tracking, implementing of (3rd party) SDK’s etc. The game showed potential and we were all proud of what we produced, however we stopped the game in soft launch because of disappointing (short-term) retention numbers. Below is a trailer of the game and a gameplay video that shows our highly iterated FTUE and more.